Luke 2:22 (Douay trans.) And after the days of her purification, according to the law of Moses, were accomplished, they carried him to Jerusalem, to present him to the Lord: 23 As it is written in the law of the Lord: Every male opening the womb shall be called holy to the Lord: 24 And to offer a sacrifice, according as it is written in the law of the Lord, a pair of turtledoves, or two young pigeons: 25 And behold there was a man in Jerusalem named Simeon, and this man was just and devout, waiting for the consolation of Israel; and the Holy Ghost was in him. “And after the days of her purification,” (Lk 2:22). This present feast is one of the greater of the whole year. Reason. Because there are three grades of sanctity, which we celebrate in this feast. The second, even greater, namely about a holy and excellent person. The third, much greater, about a transcendent holy person. Who today was presented in the temple by the Virgin Mary, just as now women, after childbirth, come to the church with their offspring. And so this feast has three names. Inasmuch as it is of Simeon, it is called the day of Simeon’s Meeting. Inasmuch as it is of Jesus Christ, it is called the day of his Presentation. Inasmuch as it is of the Virgin Mary, it is called the day of the Purification of Mary. And because today is especially the feast of the Virgin Mary, and so uniquely the theme speaks, “the day of her purification,” etc. And so first we speak of the Virgin. Second of Christ. Third of St. Simeon. First, insofar as the present feast touches the Virgin, it is called the Day of the Purification of Mary. Now when you hear that the Virgin Mary needs purification, because she has never sinned in any way, neither in her heart by thinking wrongly, nor by her mouth, by speaking vainly, nor by doing ill with her body, moreover she was purer than the sun, to the extent that the Holy Spirit was in love [philocaptus] with her. 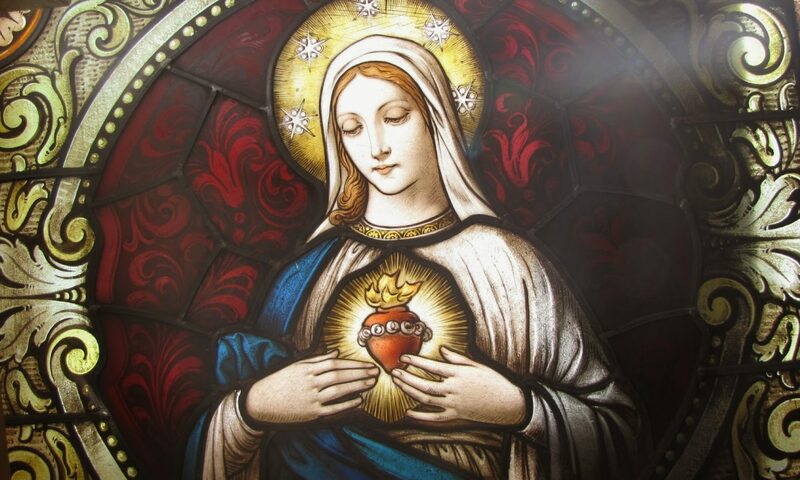 About her purity the Canticle of Canticle says, “How beautiful you are, my love, how beautiful you are!” (Song 4:1), and again, “You are all beautiful, O my love, and there is not a spot in you,” (v. 7). Note how it is like a lover speaking. And “beautiful” is said three times, she was beautiful in the soul, because she never had a wicked or vain thought, otherwise with us. Second, beautiful in voice, because she never spoke in vain or frivolously, or indiscreetly. We, on the other hand do not have a “beautiful voice.” Third, “beautiful,” in her whole body, because she is without any defect and negligence, temperate in food and drink, diligent in the service of God; it is otherwise with us. Why, therefore, does the theme state, the day of the Purification of Mary? St. Luke raises this question in today’s gospel, saying, “the day of the purification of Mary.” He immediately says, “according to the law of Moses,” and he does not say according to the her own person, because she did not need it. As the fullness of grace flowed from Christ on to His Mother, so it was becoming that the mother should be like her Son in humility: for “God gives grace to the humble,” as is written James 4:6. And therefore, just as Christ, though not subject to the Law, wished, nevertheless, to submit to circumcision and the other burdens of the Law, in order to give an example of humility and obedience; and in order to show His approval of the Law; and, again, in order to take away from the Jews an excuse for calumniating Him: for the same reasons He wished His Mother also to fulfill the prescriptions of the Law, to which, nevertheless, she was not subject. And so, expressly, the evangelist Luke says, “And after the days of her purification, according to the law of Moses,” (Lk 2:22). She herself had no need of purification, for in Leviticus 12 it says, “If a woman having received seed shall bear a man child,” (Lv 12:2). Moses seems to have spoken to exempt the mother of God from uncleanness, who had given birth having not received seed, and so it is clear that she was not obliged to the fulfillment of this precept, but fulfilled the observance of purification voluntarily. But here is the question. Why did God ordain this law? It is never a sin to generate children in the state of matrimony. The response is that it is not. But many reasons are given by the holy doctors. I wish to declare only one. The reason for this law is because all the precepts of the law are reduced and are included in the ten commandments of the Decalogue, which is broken down fourfold, namely by deed, omission, word and thought. Four times ten makes forty. Women in conceiving, bearing, birthing and nursing sin against the precepts of God in these four ways, and so they experience the day of purification. 1. First they sin in the act of conceiving. For God has ordered the act of generation for the conservation of human nature. Many are not urged toward it unless like a horse or mule, a dog or pig, according to the sensuality of the flesh, when they ought to have the intention of the preacher, who preaches to convert the pagans to God, so that paradise be filled with the children of God, so the propagators ought to have the intention of begetting children for paradise. The Virgin Mary however did not sin by deed, because she conceived not by a man but by the Holy Spirit, who formed the body of our Lord Jesus Christ, like the kernel is formed within a hazel nut or almond. And so the Church sings: “Begotten of no human will, but of the Spirit, Thou art still, the Word of God in flesh arrayed, the promised fruit to man displayed.” (Ambrose: Veni redemptor gentium). 2. Second, women sin in childbearing by omission, because if at first they were doing penance, namely by fasting, prayers, pilgrimages, and such, when they are pregnant they give them all up. Although they might be somewhat fastidious, then they make themselves more fastidious, and more delicate. The Virgin Mary did not sin in this way, by omitting something, because St. Bernard says, that she was pregnant without difficulty, moreover the pregnancy bore her. Like a cloud which cannot be raised, but when the rays of the sun touch it, it is raised and is lighter, so the ray of the eternal sun existing in the womb of the Virgin. Thus she did not give up any of her devotions, rather she performed them even more. Like a priest, when carrying the Eucharist, is more devout, so the Virgin, who was the custodian of the body of Christ. 3. Third, women sin in speech when they give birth. When they feel the pains of childbirth they say many vain and indiscreet words. When however they should have recourse to Christ by saying “Jesus” and to the Virgin Mary, who gave birth without pain, and to the saints of God. Some of them curse Eve, some their husbands, other say, “O, if I can get past this, I’ll never again approach my husband.” But the Virgin did not sin in this way, because she gave birth without pain or misery, like the ray of the sun passes through the glass window without breaking it, it even renders her more beautiful. Isaiah, “It shall bud forth and blossom, and shall rejoice with joy and praise: the glory of Lebanon is given to it: the beauty of Carmel, and Sharon,” (Is 35:2). 4. Fourth, women sin by thought in suckling. They think, “Now I have the heir! Now I am the Lady!” When rather in great fear they should be saying, “O Lord, you have given me a son. What will become of my son? Will he be so wicked a man, that he would kill me; or what evil deed might he do that he would be hung, and finally damned?” But the Virgin did not sin in this way. She knew the scriptures. Therefore when in childbirth she saw the miracles which would be done; she was thinking about her passion. And so St. Luke says, Mary “kept all these words,” collecting them, “in her heart,” (Lk 2:51). When she beheld the infant Jesus, newborn, and naked, in her heart she thought, saying, “O woe, so my son shall be naked on the cross.” Then she wrapped him in a blanket, thinking that so she would wrap his body in a shroud in his tomb. Then she put him in the manger in the middle of two animals, thinking, that so he would be suspended between two thieves. It is clear therefore, that the Virgin Mary in no way sinned, neither in the deed of conceiving, nor in the omissions of childbearing, nor in the outcries of childbirth, nor in the thoughts of nursing. Other women are sinners. Rightly Bernard says that she was like her son, who wished to endure circumcision to which he was not bound, because it is given as a sign of sin, like cutting off the ears of a thief as a mark of his thievery. So the Virgin wished to keep this law, to which she was not obliged. Practically and plausibly we should here explain how she was exempted from that law, because on the fortieth day from the birth of her son, as it is today, she came to the temple of the Lord, in which were standing the generous and rich women, and the poor and simple, and the virgins, each group separately. And the Jews observe this custom today. The Virgin Mary, however in her entry into the temple considered, thinking with whom should she associate, because although she was generous and most noble, of the tribe of David, nevertheless she was poor and simply clothed, because she had given her whole dowry out of love of God and all the gold which the kings of the orient had given to her, and she was willing to live by her own hands. Therefore if she joined with the rich women, they could have said to her, “Go to your own place. Dear God, the wife of a poor carpenter wants to associate herself with us! etc.” If with the virgins, although she would have been a virgin, they would have said to her, “And you, who have a husband and son wish to come with us? How about this!” Therefore she put herself with the simple and poor women, and so was fulfilled a certain prophecy which the Holy Spirit predicted through the mouth of Solomon saying, “As the lily among thorns, so my love,” supply “is,” ” among the daughters,” (Song 2:2). We have here an example of humility. Whoever exalts himself, because whoever wishes to be at the head table in dinner parties etc. And so the Virgin Mary, queen of paradise, takes her place at the back. And so Mary says, “Because he has regarded the humility of his handmaid,” – she doesn’t say “the charity” or, “the virginity.” – “For behold from henceforth all generations shall call me blessed,” (Lk 1:48). And this was first humility which today she practiced in fulfilling the law. Note too another great humility in the Virgin Mary, because the gospel today says, “to do for him according to the custom of the law,” (Lk 2:27). The custom of the law was, as is clear from Leviticus 12, that when after childbirth on the fortieth day the woman comes to the temple, on bended knees before the priest, she would say, “Here is the offering. You are to offer a sacrifice for me, that God might forgive my sins which I have committed, conceiving, bearing, birthing and nursing.” Then the priest, having accepted the offering and making the sacrifice, gives the woman a blessing, and the woman goes away. The Virgin Mary wished today to observe this custom, coming into the temple, and speaking to the priest – not to Simeon, because we do not read that he was a priest, but a holy man. Today is the fortieth day since she gave birth to her son, and on the eighth day he was circumcised, and was called “Jesus,” and she gave a pair of turtledoves as an offering for him, or two young pigeons, asking that he pray for her. O what great humility! The most holy one speaks to a sinner, “Pray for me.” And the priest did not recognize her, or rather he knew her in the Isaiah saying, “Behold a virgin shall conceive, and bear a son, and his name shall be called Emmanuel,” (Isa 7:14). Then was fulfilled the prophecy of Solomon saying in the person of the virgin, “I am black but beautiful, O you daughters of Jerusalem,” etc. (Song 1:4), “Do not consider me that I am brown, because the sun has altered my color,” (v. 5). The Virgin was black to ignorant eyes, eyes not recognizing her; but she was beautiful to the angels of God. “Do not consider me,” supply “in disdain,” “because the sun has altered my color,” because the heat of divine love so humbles one, supply by inflaming. And so she can say to us that of Matthew 11, “learn of me, because I am meek, and humble of heart: and you shall find rest for your souls. For my yoke is sweet and my burden light,” (Mt 11:29-30). Second, this feast next touches our Lord Jesus Christ. It is also named the Day of the Presentation of Jesus Christ. We understand that Christ did not need a presentation, because he never was apart from God the Father, nor was he ever absent. Just as the sun sends forth its rays to us, and nevertheless the rays are always with the sun, so to with Christ. We are distanced from God by sin, and so we need a presentation. Christ however was always present to the Father, even while in the womb of the Virgin, day and night. And so the Father said to him, “Son, you are always with me,” (Lk 15:31). Although I will send you in the world for enlightening in evangelical faith, for warming in the love of God and bearing fruit in good works. These remarks are in the same citation. We gather from the body of this article 3, and from the solutions to the objections, that Christ wished to be presented in the temple today for four reasons. Now, the Law contained a twofold precept touching the children born. one was a general precept which affected all–namely, that “when the days of the mother’s purification were expired,” a sacrifice was to be offered either “for a son or for a daughter,” as laid down Leviticus 12:6. And this sacrifice was for the expiation of the sin in which the child was conceived and born; and also for a certain consecration of the child, because it was then presented in the Temple for the first time. Wherefore one offering was made as a holocaust and another for sin. The other was a special precept in the law concerning the first-born of “both man and beast”: for the Lord claimed for Himself all the first-born in Israel, because, in order to deliver Israelites, He “slew every first-born in the land of Egypt, both men and cattle” (Ex 12:12-29), the first-born of Israel being saved; which law is set down Exodus 13. Here also was Christ foreshadowed, who is “the First-born amongst many brethren” (Rom 8:29). Therefore, since Christ was born of a woman and was her first-born, and since He wished to be “made under the Law,” the Evangelist Luke shows that both these precepts were fulfilled in His regard. First, as to that which concerns the first-born, when he says (Lk 2:22-23): “They carried Him to Jerusalem to present Him to the Lord: as it is written in the law of the Lord, ‘Every male opening the womb shall be called holy to the Lord. '” Secondly, as to the general precept which concerned all, when he says (Lk 2:24): “And to offer a sacrifice according as it is written in the law of the Lord, a pair of turtle doves or two young pigeons.” (Summa theologiae, III, q. 37, a. 3, body). And so he did not need to be sanctified in the temple, but rather the temple ought to be sanctified by him, because he was and is the saint of saints. Whence Haggai: “Yet one little while, and I will move the heaven and the earth, and the sea, and the dry land. And I will move all nations: and the desired of all nations shall come,… Great shall be the glory of this last house more than of the first” (Hag 2:7-8,10). To Malachi, “And presently the Lord, whom you seek, and the angel of the testament, whom you desire,” (Mal 3:1). As the Son of God “became man, and was circumcised in the flesh, not for His own sake, but that He might make us to be God’s through grace, and that we might be circumcised in the spirit; so, again, for our sake He was presented to the Lord, that we may learn to offer ourselves to God” [Athanasius, on Luke 2:23]. And this was done after His circumcision, in order to show that “no one who is not circumcised from vice is worthy of Divine regard” [Bede, on Luke 2:23]. 4. Fourth he wished to be offered in the temple for a mystical significance. The Doctor touches on this in the response to the fourth objection. The law of Leviticus 12:6, “commanded those who could, to offer, for a son or a daughter, a lamb and also a turtle dove or a pigeon: but those who were unable to offer a lamb were commanded to offer two turtle doves or two young pigeons” [Bede, Hom. xv in Purif.]. “And so the Lord, who, ‘being rich, became poor for our [Vulgate: ‘your’] sakes, that through His poverty we [you] might be rich,” as is written 2 Corinthians 8:9, “wished the poor man’s victim to be offered for Him” just as in His birth He was “wrapped in swaddling clothes and laid in a manger” [Bede on Luke 1]. Nevertheless, these birds have a figurative sense. For the turtle dove, being a loquacious bird, represents the preaching and confession of faith; and because it is a chaste animal, it signifies chastity; and being a solitary animal, it signifies contemplation. The pigeon is a gentle and simple animal, and therefore signifies gentleness and simplicity. It is also a gregarious animal; wherefore it signifies the active life. Consequently this sacrifice signified the perfection of Christ and His members. Again, “both these animals, by the plaintiveness of their song, represented the mourning of the saints in this life: but the turtle dove, being solitary, signifies the tears of prayer; whereas the pigeon, being gregarious, signifies the public prayers of the Church” [Bede, Hom. xv in Purif.]. Lastly, two of each of these animals are offered, to show that holiness should be not only in the soul, but also in the body. (St. Thomas, Summa, ibid., ad 4m). This St. Thomas says in the same article. And because of these four reasons Christ wished to be presented in the temple. Nevertheless from the aforesaid the literal reason is also clear why Christ preserved every firstborn. But the moral reason is this. Just as indeed between husband and wife there is a marriage for generating offspring, so between the spirit and flesh there is a quasi marriage-union for generating offspring, namely virtuous acts and meritorious works, because the flesh without the spirit counts for nothing. For the sprit moves the flesh to accomplish works of virtue and merits, which are called offspring. So David says, “Your children as olive plants, round about your table,” (Ps 127:3). Of these “children,” virtuous actions, God wishes the firstborn to be offered to him. But who is this firstborn? It is a rule of philosophy, that that which is ultimate in execution is first in intention, toward God. For example, if it is asked: Why do you go to Mass today? What was your first intention? If you say: “For the honor of God and of the Virgin, and because of the precept of the church,” then you stand right in conscience, because your intention is good, because you are going because of God. If however you say: “I go to church just to see the ladies,” etc., then you offer your firstborn to the devil, and not to God, because your intention is evil. The same for alms, if you give them out of an intention of vainglory, or such like, the firstborn is given to the devil. If however it is given so that God would give you alms, the grace which you seek from him, when your soul comes to the gate of paradise, knocking and asking for the alms, that God would give you alms, then the firstborn is given to God. And so in whatever virtuous work, you should inquire within yourself as to whom the firstborn is given and offered, lest merit is lost from an evil intention. A virtuous deed done from a bad intention counts for nothing, and many great virtuous works are lost because they are done with a bad intention, because the firstborn is not offered to God. See why God commands that the firstborn are to be offered to him. And so the Apostle says, “Therefore, whether you eat or drink, or whatsoever else you do, do all to the glory of God,” (1Cor 10:31). Therefore our Lord Jesus Christ as firstborn and only-begotten of the Virgin Mary, wished to be presented to God the Father in the temple and offered in the hands of the priest. And “by five sicles,” like five royals of silver, he is redeemed according to the law, which is found in Numbers 18 where it says, “Whatsoever is firstborn of all flesh, which they offer to the Lord, whether it be of men, or of beasts, shall belong to you: only for the firstborn of man shall you take a price…” and he is redeemed, “by five sicles,…which is twenty ebolos.” (Num 18:15-16). And so unless he is redeemed, he would belong to the priest, and would serve in the temple. In fact this is how the presentation took place. The Virgin Mary offered her son, Christ into the hands of the priest, and he offered him to the Lord. O how foolish the priest! If he had known him, he would have adored him. Finally, the priest wished to keep him, seeing that the Virgin mother was poor. And the Virgin said to him, “You are not to keep him. See, I have five sicles. These she had gradually saved up, and received from her own labor, perhaps by eating less, so that she might redeem her son. And she opened her purse, not made of gold or iron, and counted out five sicles according to the custom of the law. The question here is: Why did Christ wish to be redeemed by five sicles, since he was to be the redeemer of the world, and for this reason he was sent by God the Father? Note two answers to this. One is allegorical, the other moral. The allegorical is this He wished to be redeemed by five sicles, just as he was about to redeem the world with the five major wounds, which make up our entire redemption: circumcision, flight into Egypt, scourging, crowning and crucifixion. And so David, “Because with the Lord there is mercy: and with him plentiful redemption,” (Ps 129:7). The second reason is moral, giving us an example, as when man is sold to the devil by sin, because to sin mortally is to sell oneself to the devil. For example: He who is pompous and vain, for the price of pride, immediately sells himself to the devil. The greedy, charging interest and a price, by which he is sold to the devil. Include thievery, robbery and the other species of greed. The lustful person, by that delight gives his soul over to the devil. The same for the other sins. And so it is necessary to be redeemed by five sicles, if we wish to be saved, namely by the works of penance. The first is contrition, with the purpose of not returning to sin. Second is oral confession. Third, the affliction of the body. Fourth, the restitution of what is owed. Fifth, the forgiveness of injuries. And this is verified by the words of scripture, “There is one who buys much for a small price, and restores the same sevenfold,” (Sir 20:12). As for the third, this feast inasmuch as it touches St. Simeon, is said to be the day of the meeting with Simeon. Practically. Then at the time when the Virgin gave birth to her son, all the Jews skilled and learned in the law held for certain that the Messiah was born, because they were seeing the time assigned by the prophets and fulfilled, but they did not know him. And because of this John the Baptist said, “There has stood one in the midst of you, whom you know not,” (Jn 1:26). And so many were praying that he might show himself to them, especially Simeon, holy and just. “And he had received an answer from the Holy Ghost, that he should not see death, before he had seen the Christ of the Lord.” And knowing the prophecy: “And presently the Lord, whom you seek, and the angel of the testament, whom you desire, shall come to his temple,” (Mal 3:1), because of this he came to the temple every day. And when he saw a woman carrying a child, he inquired, “Is it a boy or a girl? And the Holy Sprit said nothing to him until this day, when he said to him, “Today you shall meet the Messiah king in the temple; you shall see him.” And so after a good sleep he rose in the morning, and went to the temple, purifying himself, and praying, because when the king ought to enter his home, his home should be decorated. And so the church sings: “Adorn thy bridal chamber, O Sion, and receive Christ the King, and with great devotion, expect to see him,” (John Damascene: Antiphon for the Feast of the Presentation). It was otherwise with the priest, who expected him so that he would receive a greater offering, and he would have doves and pigeons. “For all seek the things that are their own; not the things that are Jesus Christ’s,” (Phil 2:21). For there are three conditions of persons, who are not occupied from certain business matters. First, a child at play. Second, women dancing. Third, priests offering. But of those who are of Jesus Christ, immediately they are aware. When however the Virgin with Joseph entered the temple, the Holy Spirit said to Simeon, “Simeon, this woman is his mother, and her son is the king and Messiah promised in the law.” Immediately the old man, weeping for joy, adored him, and receiving him into his arms began to sing a beautiful canticle of four verses: “Now you do dismiss your servant, O Lord, according to your word in peace, etc.,” (Lk 2:29). Behold the day of the Meeting of Simeon. And so today the church sings: “And when his parents brought in the child Jesus, to do for him according to the custom of the law, he also took him into his arms, and blessed God, and said: Now do you dismiss your servant, O Lord, according to your word in peace,” (Lk 2:27-29). It is asked why holy Simeon took him in his arms, because this was not promised to him by the Holy Spirit, but it was promised to him that he would not die until he first saw Christ the Lord. Whence therefore such presumption that he would take him? I reply that for our salvation it does not suffice to see Christ through faith, but it is necessary to receive him in the hands through good works. So Mark, last chapter, “He who believes and is baptized, shall be saved,” (Mk 16:16). One might say, “I have those eyes of the soul, the right by believing the divinity of Christ, and the left, the humanity of Christ. So Christ is seen by us on the way. What else is it necessary for me to do? I say, like Simeon, that Christ is received in to our hands through good works. “What shall it profit, my brethren, if a man say he has faith, but has not works? Shall faith be able to save him?” “Faith without works is dead,” (James 2: 20, 26). As a sign of this we carry lighted candles in our hands, which signifies three things which are in Christ. The soft wax signifies the flesh of Christ, which has vulnerability, which has been liquefied in the passion. The white wick signifies the most pure soul of Christ. The flame, however, signifies the immense divinity of Christ. It is not sufficient just to see the light on the altar, nor Christ through faith, but to receive him in our hands through good works. And so the Apostle [Paul says], “Glorify and bear God in your body,” (1Cor 6:20). Then indeed Christ is born by us when out of love of him we avoid sin. Thanks be to God. Speak to the children of Israel, and thou shalt say to them: If a woman having received seed shall bear a man child, she shall be unclean seven days, according to the days of separation of her flowers. And on the eighth day the infant shall be circumcised: But she shall remain three and thirty days in the blood of her purification. She shall touch no holy thing: neither shall she enter into the sanctuary, until the days of her purification, be fulfilled. But if she shall bear a maid child, she shall be unclean two weeks, according to the custom of her monthly courses, and she shall remain in the blood of her purification sixty-six days. And when the days of her purification are expired, for a son, or for a daughter, she shall bring to the door of the tabernacle of the testimony, a lamb of a year old for a holocaust, and a young pigeon or a turtle for sin, and shall deliver them to the priest: Who shall offer them before the Lord, and shall pray for her, and so she shall be cleansed from the issue of her blood. This is the law for her that beareth a man child or a maid child.